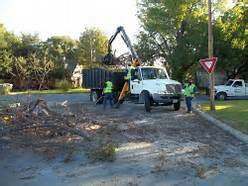 The Town of Batesburg-Leesville Street Department provides yard debris collection services to town residents and businesses inside our corporate limits. To serve our citizens as efficiently as possible, please read through this page for tips and recommendations. Collection routes typically run every 7 to 10 business days, except during leaf season (November - February) or in the case of extreme weather conditions that increase the amount of debris in Town. Collection of yard debris begins at 7:00am (Monday - Friday) and all yard debris must be placed at the curb before 7:00am for collection. Bagged yard debris must be kept separate from other trash and placed at the resident's or business' front property line. Un-bagged leaves can also be placed at the front property line in one pile for collection, but must be separate from other types of yard debris. Bagged or un-bagged yard debris is not to be placed in or on any storm drain, gutter, street, sidewalk, or water meter. The Town will not collect landscaping materials such as railroad ties, bricks, rocks, concrete, dirt or other landscaping construction material. Soil, sod, or other excavated materials will not be collected. A limited quantity (up to an amount equal to that of a pickup truck bed) of tree limbs and bush trimmings will be collected curbside at any residence on a weekly basis. 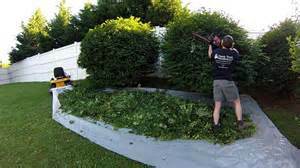 Materials should be piled as neatly as possible along the curb or edge of the street, preferably with all cut ends laid in the same direction. Limbs must be no larger than four (4) feet in length and six (6) inches in diameter. Limbs that exceed the length and diameter will not be collected and homeowner/tenant will be responsible for the removal of this debris, unless brought into compliance with Town collection regulations.